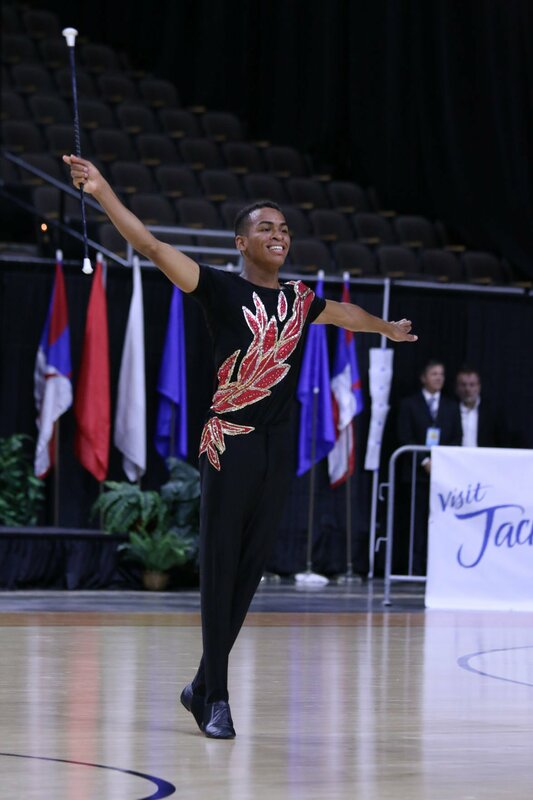 Brandon Ennis, a 17-year-old from Porterville, is competing in the 34th World Baton Twirling Championships this weekend. He will compete on Team USA in the Junior Men's Freestyle category. Almost 200 of the best baton twirlers from 15 countries will compete in the championship in Kissimmee, Fla. "It's an honor to represent Team USA," Brandon said. "I feel like my hard work's paying off." 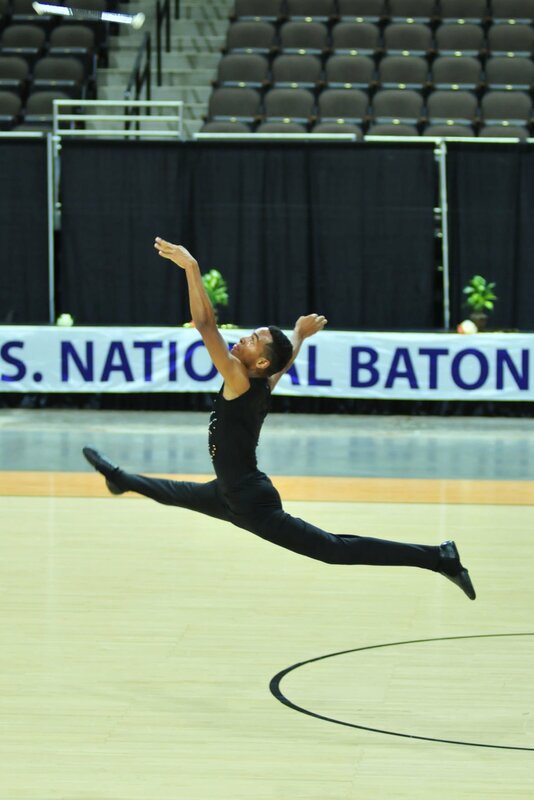 Brandon Ennis, a 17-year-old from Porterville, is competing in the 34th World Baton Twirling Championships this weekend. He will compete on Team USA in the Junior Men's Freestyle category. Almost 200 of the best baton twirlers from 15 countries will compete in the championship in Kissimmee, Fla.
Brandon Ennis, a 17-year-old from Porterville, is competing in the 34th World Baton Twirling Championships this weekend. He will compete on Team USA in the Junior Men's Freestyle category. Inspiration can strike anywhere, changing the course of one's life from then on. For Brandon Ennis, it was a parade in his hometown of Porterville where he saw something he knew he wanted to try: baton twirling. "When I was 7 years old, I saw it in a parade and thought it was amazing to see sticks going in the air and someone catching it," Brandon, 17, said. "I always told my mom, 'I want a baton! I want a baton!' And that Christmas I got a baton." Though he got that first baton as a young child, Brandon has only been competing in baton twirling for the last four years, and in that short time has reached the international stage. He will be competing on Team USA in the 34th World Baton Twirling Championships, the Olympic Games of twirling. He will join nearly 200 of the best baton twirlers from 15 countries for the event, to be held Thursday to Sunday in Kissimmee, Fla.
"Four years ago, he made the proclamation that he was going to be on the team," said Stanley Ennis, Brandon's father. "Lo and behold, four years later, he made the team." Brandon, who is about to start his senior year at Granite Hills High School, will compete in the Junior Men's Freestyle category and is the first junior men's twirler on Team USA in 10 years. "It's an honor to represent Team USA," Brandon said. "I feel like my hard work's paying off." While Brandon was too modest to say so, twirling came naturally to the teen, according to his father. His acrobatic skills lent themselves to the sport of twirling, where Brandon will often throw the baton in the air, do a gymnastics move and catch it once back on his feet. Before he started twirling competitively and training with coaches, Brandon would try new skills after watching videos of twirling on YouTube. Stanley estimated his son spends about 27 hours a week practicing, whether it's at home or with coaches. He travels regularly to both Fresno and Sacramento, working with coaches Yolanda Stone in the former and Mark Nash in the latter. "Twirling takes hand-eye coordination; it takes a lot of practice and hard work," Brandon said, adding that to anyone who think it's not a sport, "I like to prove people wrong." When Brandon first tried to make the team in June, though, he earned 39.75 points of the required 40 to join the team. Impressed by his progress in the previous year, officials of the United States Twirling Association weren't ready to let Brandon go just yet. "They gave me a second chance to prove myself," Brandon said. "Two weeks ago, when I did the trials (in Jacksonville), I jumped up (enough to make the team)." Making the team was the result of a lot of time and energy not just for the athlete but for the parents who took him to and from practice, up and down the Central Valley. "A lot of work was put in," Stanley said. "It was a journey for all of us." Since the last round of finals on July 8, Brandon and Stanley have been in Florida, currently in Orlando. While the time there has mostly been filled with practice, the two were recently able to get some downtime and go to a few Disney World parks and Universal Studios. In addition to his father, Brandon also has the support of his mom, stepmom, five brothers (three older, two younger) and a little sister. The whole family was in Florida earlier but have since gone home, with Stanley's wife flying back east to cheer Brandon on in person during the championships. "It's something I am very passionate about," Brandon said. "With the motivation and support along my side, I think I can go far. That keeps me motivated." When the championships are over, the Ennis family will return to Porterville, with just three days to spare before school starts. Stanley, a teacher, will be going right back to work. The two will have been in Florida for a month by that time. When he returns to school, Brandon will be Granite Hills High School's first male feature twirler. "For the longest time they didn't know I did baton twirling," Brandon said of his friends. "In high school, I came out of my shell. They've been very supportive and encouraging." Brandon and his family have been happy to see that what started as a hobby for the teen has become something upon which he can build his future. "When I saw it in the parade, on TV, on YouTube, I thought, 'I really want to do that one day,'" Brandon said. "I didn't even know it was a world (recognized) sport. ... It really changed my life." If you (or your child) is interested in twirling, check out your school's color guard or marching band program. You can also find coaches online at ustwirling.com/professional/PublicProfessionalsList.aspx.